MIAMI & DALLAS--(BUSINESS WIRE)--Southern Glazer’s Wine & Spirits (“Southern Glazer’s”)— the world's pre-eminent distributor of beverage alcohol—has identified four major cocktail flavor and ingredient trends heading into 2019, following an extensive tasting tour across the U.S. led by an expert team of national sales staff and mixologists. The team visited 80 of the top mixology and restaurant bars in New York; Los Angeles; Chicago; Kansas City, Mo. ; and Dallas. After tasting nearly 400 cocktails across these markets, five key trends driving innovation in the cocktail category were revealed. Cocktails with proper texture result in drinks that feel substantial. Ice is one way to deliver the correct texture and flavor in a cocktail, in addition to providing a visual impact. For example, large blocks of ice minimize dilution and can also be branded or stamped. Medium sized cubes continue to be used for a variety of all-purpose cocktails, and shaved or nugget ice is being used in large part to often dilute boozy, tiki-styled cocktails. Finally, blended cocktails continue to grow in popularity. Beyond ice, texture can also be modified by using egg whites to not only add a foam presentation, but also a soft texture to a variety of citrus-forward cocktails. 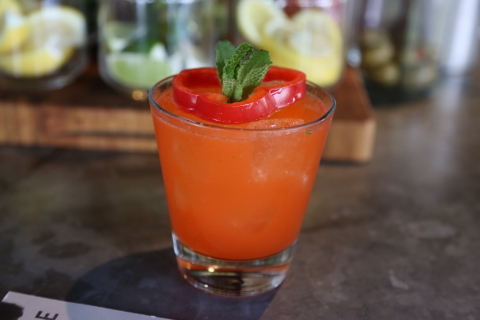 While consumers have long embraced healthy green juicing and smoothies, vegetable flavors such as cucumber, celery, peppers, and peas are now being used to add a new twist to familiar cocktails. Bartenders are also using spirits that have vegetal characteristics, such as Green Chartreuse or its milder, slightly sweeter, lower-alcohol cousin, Yellow Chartreuse. Aquavit, a spirit often infused with caraway and dill, is also being used to add vegetal flavor. Using vegetables and vegetal spirit ingredients, such as bell peppers, beets, and snap peas, adds fresh, bright flavors and imparts unique, vibrant colors. 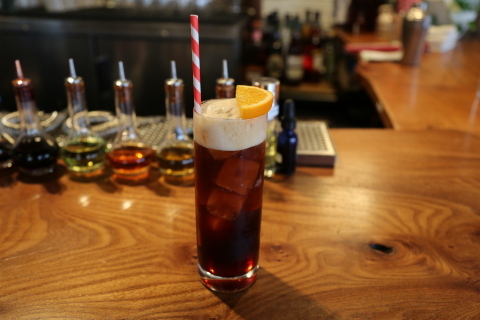 No longer just to enjoy after dinner, amaro and bitters are being used more and more due to their ability to tone down and balance drinks that are too tart or sweet. One example is Aperol—a bitter orange liqueur that adds astringency, bitterness, and also a wonderful color. Cynar is an artichoke based bittersweet liqueur known for its versatility and distinctive flavour; its taste is enriched by an infusion of 13 herbs and plants. The name of the drink derives from the botanical name for artichoke, as artichoke leaves lend the distinctive flavor. Angostura bitters, traditionally used as an accent ingredient, is also making its way to the forefront as a major ingredient in cocktails. Wines are great on their own, but they also lend themselves well to cocktail development. When used in cocktails, wines reduce the need to add excessive amounts of alcohol (that can make a drink too boozy) and can add a softer sweetness than syrups. These include fortified wines like ports and vermouths; subtle nutty or creamy sherries; crisp and clean red and white wines; and sparkling wines for bubbly texture. And red wine, traditionally just for sangria, is being used to create colorful, flavorful cocktails at some of the country’s most innovative watering holes. Coffee and tea as cocktail ingredients are being leveraged for their smoothness, earthiness, subtle smokiness, and other flavor tones—as well as for their strong backbone, which stands up to more assertive spirits. While cold brew primarily delivers a singular flavor profile, teas from around the world offer versatility and more nuanced flavors. These range from the subtle and delicate aromas of white tea; slight bitterness of many black teas (or subtle smokiness of Lapsang souchong); roasty notes from green teas like houjicha; soft, grassy flavors in matcha tea; or the range of flavors and aromas of oolong tea. Then there’s the incredibly diverse flavors extracted from herbal and floral teas including hibiscus or chamomile. Brian Masilionis, a certified specialist of wine and spirits from the Society of Wine Educators, and Director of National Accounts, On-Premise, for Southern Glazer’s Wine & Spirits, led the research effort. Southern Glazer’s National Accounts team is a one-stop-shop for on- and off-premise customers looking to execute programs across a national footprint. With coverage of 90 percent of its customers’ operating units, Southern Glazer’s can implement programs and easily track performance across the Company’s network. The National Accounts team is also supported by a dedicated Customer Strategy Team that can provide customers with the largest data set in the industry and focus on shopper marketing trends, retailer insights, and trade business intelligence. Southern Glazer’s Wine & Spirits is the world’s pre-eminent distributor of beverage alcohol, and proud to be a multi-generational, family-owned company. The Company has operations in 44 U.S. states and the District of Columbia, Canada, and the Caribbean, and employs more than 20,000 team members. Southern Glazer’s urges all retail customers and adult consumers to market, sell, serve, and enjoy its products responsibly. For more information visit www.southernglazers.com. 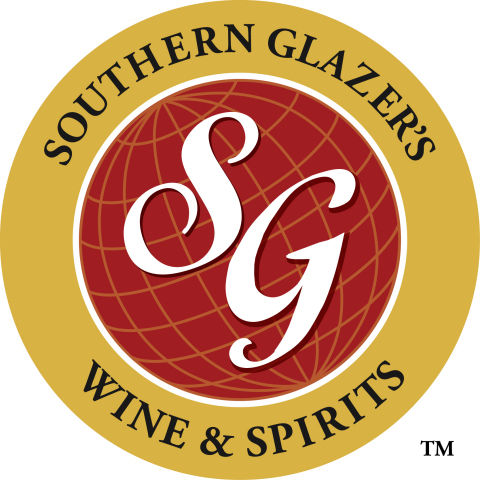 Follow us on Twitter and Instagram @sgwinespirits and on Facebook at Facebook.com/SouthernGlazers.